View of Sesqui-Centennial International Exposition site approximately one year before the event. Boat house on Lake, League Island Park. "Sesqui-Centennial grounds Looking N.E. and S. across Lake[.] Not a Sesqui building on the ground." 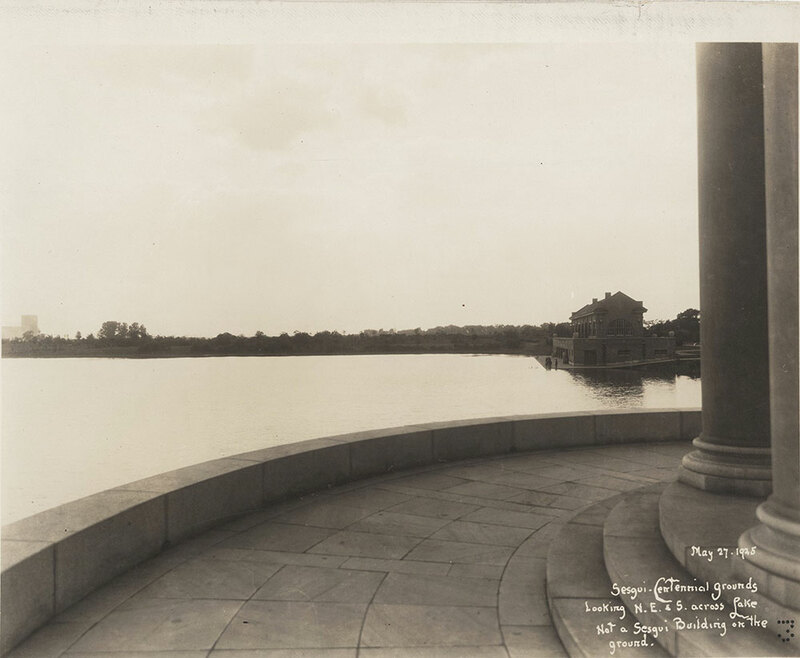 Back of Photograph: "A view of the boathouse from the look out on the lake"